Peas Bhaji (Pattal Bhaji or Tonak) Recipe. 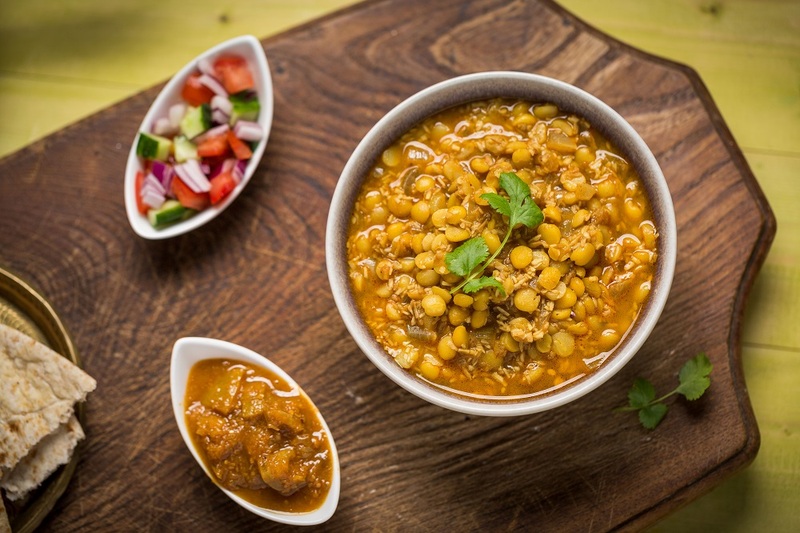 Peas Bhaji (Pattal Bhaji or Tonak) - This dal is a fantastic lentil dish with rich spices. It goes great with basmati rice and is simple and easy to make. Soak pulses in water (If you are using yellow/green peas, soak it overnight). Pressure cook until they are soft. Heat a little oil and fry 1/4 cup onion. When the onion turns brownish, add coconut and fry till coconut also turns brownish. Grind it with the tamarind. Heat a little oil and fry onions. Add chili powder, garam masala, the paste (see above), the cooked pulses and salt. Cook for 7-8 minutes. Make sure the bhaji should be watery (pattal). Serve with pav or chapathi. What do you think of this Peas Bhaji (Pattal Bhaji or Tonak) Recipe?